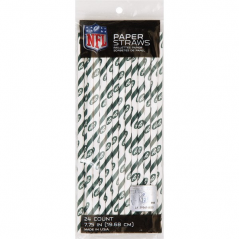 Description:NFL Disposable Straws-New York Jets- 24 Count. 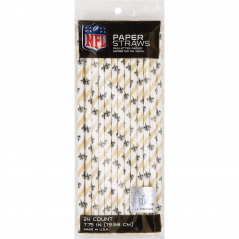 24-Count package of NFL-themed paper straws. 7.75 Inches in Length and Flex Straws. Made in the USA with non-toxic Food contact safe inks. Be Earth-Friendly at your Tailgate Party. 24 Paper Straws per pack. New York Jets Logo. 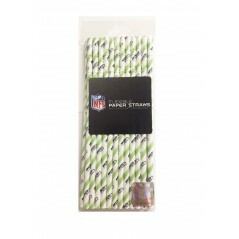 Description:NFL Disposable Straws- Cleveland Browns- 24 Count. 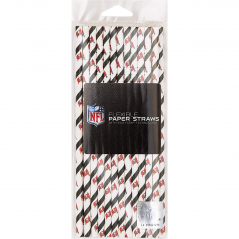 24-Count package of NFL-themed paper straws. 7.75 Inches in Length and Flex Straws. Made in the USA with non-toxic Food contact safe inks. Be Earth-Friendly at your Tailgate Party. 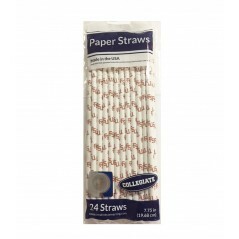 24 Paper Straws per pack. Cleveland Browns Logo. Description:24-Count package of NFL-themed paper straws. 7.75 Inches in Length. Made in the USA with non-toxic Food contact safe inks. Be Earth-Friendly at your Tailgate Party. 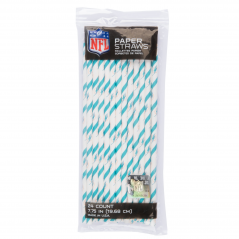 24 Paper Straws per pack. 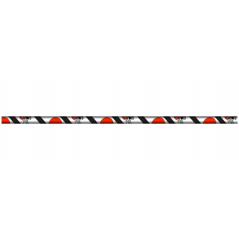 Description:Officially licensed made in the USA disposable paper straws. Straws are made with high quality eco friendly paper and include Chicago Bears logo. 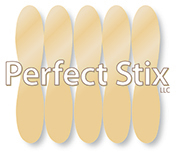 Measuring 7.75 " with a flexible end. 24 straws per pack.